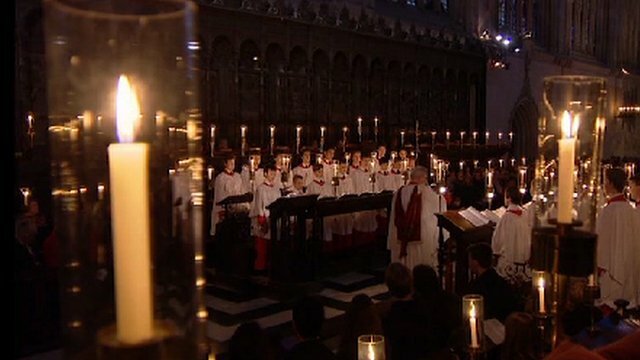 BBC ARCHIVE: A traditional celebration of Christmas from the Chapel of King's College, Cambridge. 24 December 2011. Probably the most popular Christian carol in many cultures, Silent Night (original title: Stille Nacht, heilige Nacht) was written in 1816 by Austrian priest Joseph Mohr and its music composed by organist Franz Xaver Gruber. The carol was originally written for guitar and has been translated into over 100 languages. The man behind the English version was John Freeman Young. While assigned to New York's Trinity Church, he translated European hymns into English as a hobby. In 2011, Silent Night was declared an intangible cultural heritage by UNESCO.